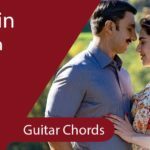 Quick & Easy: Tere Liye Chords- Guitar | Presenting the another latest and hit song by Atif Aslam from Namaste England movie – Tere Liye. 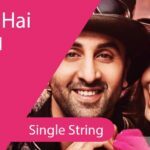 The lyrics of the melodious song are written by Javed Akhtar and voiced by Atif Aslam, this song has been composed by Mannan Shaah. Parineeti Chopra & Arjun Kapoor are creating romantic buzz in the song. This movie has been directed by Vipul Amrutlal Shah and it’s set to release on 19th of October, 2018. This is 7 chord song, we’ve used F, A#, A, Dm, C, Gm, G. The scale of this song is in F Major. If we talk about the difficulty level of this song then we would mark it as medium level of difficulty. 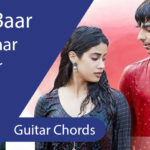 The strumming pattern that you can try in this song is D D UU D Du or DD UDUD D where D is Down Strum and U is Up Strum.